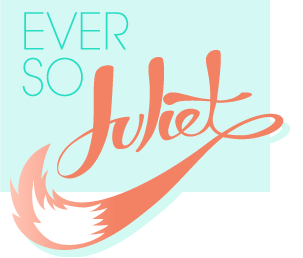 Ever So Juliet | Edinburgh lifestyle blog: Win tickets to see Taylor Swift! Okay, London pals, listen up! The nice people at Seatwave have given me two tickets to give away to see the country-pop superstar of brilliant hair and excellent dresses, Taylor Swift, on Monday 10th February at the O2 Arena, London. Seatwave, it you ain't heard of it, is an online marketplace where fans can buy and sell tickets for gigs (from Chvrches to Lady Gaga tickets) , theatre, sport, and any other live event you can think of. It means you don't have to totally stress out when gigs sell out in an instant (I'm looking at you, Beyonce), and it removes the stress of dealing with potentially dodgy people on gumtree! If you would like to enter, please fill in the form below. You need to be able to travel to London on Monday evening, so please enter only if you can go along (although this is, of course, a perfect excuse for a last-minute London trip), and you have to tell Taylor that I think she has wonderful hair. Enjoy! What an amazing giveaway! I so wish I lived closer to London! I agree, Taylor does have wonderful hair! When and how will the winner find out if they won? I would be totally entering this..........if I didn't already have tickets to see Taylor Swift on Monday haha! Good luck to everyone else, I am so excited! I'm so excited for this I nearly cried at the thought! All of my fingers and toes are very firmly crossed! !